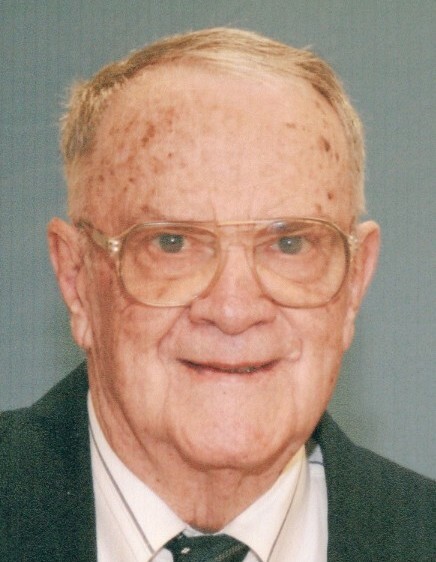 Obituary for Delbert L. Leistner | Cromes-Edwards Funeral Home & Crematory, Inc.
DELBERT L. LEISTNER, 90, of Sidney, passed away at 9:20 PM Tuesday, January 15, 2019 at St Rita's Hospital. He was born on November 18, 1928 in Haysville, Indiana, the son of the late Roy and Cleta (Pope) Leistner. On September 30, 1950, he married the former Mary Edna Cox at St. Mark's Lutheran Church in North Chicago, Illinois. She preceded him in death on May 29, 2012. Together with Mary, Delbert had three children, David and Michele (Frantz) of Sidney, Martha Thomas of Colorado Springs, Colorado, and Joseph and Beatrice (Loos) of Centerburg, Ohio; eight grandchildren, Ann and Jeff Gramza, Betsy and Brian Fortman, Ben and Erin Fernandez, Nick and Katie Fernandez, Jill and Geoff Frahm, Christine Leistner and Jay Thomas, Joseph and Amy Leistner, and Michael Leistner; and sixteen great-grandchildren. Delbert is also survived by sister and brother-in-law, Alice and Glenn Menke of Huntingburg, IN; sister-in-law, Joan Leistner of Holland, IN; and Marilyn Spicer, a close family friend. Delbert was preceded in death by his brother, Alva Leistner, sister-in-law Julie (Cox) Beach, great-grandchild Kyera Ann Frahm, and niece and godchild, Kay Hartke. Delbert received a Bachelor's of Science in Civil Engineering at Purdue University. He served as the director of Division 7 for the Ohio Department of Transportation. He also worked for Stolle Corporation where he remained until retirement. Funeral Services will be held on Friday, January 18, 2019 at 1:00 P.M. at St. John's Lutheran Church, with Rev. Jonathan Schriber officiating. Burial will follow at Graceland Cemetery. The family will receive friends at the church on Friday from 11:00 A.M. until the time of service. Arrangements are in the care of Cromes-Edwards Funeral Home, 302 S. Main Ave. Contributions in memory of Delbert Leistner can be made to St. John's Lutheran Church Memorial Fund or St. John's Thrift Shop. Condolences may be expressed to the Leistner family at www.cromesfh.com.